The Road Traffic Act, 2006 introduced mandatory random breath testing. This act allows a member of an Gardai (not below the rank of inspector) to authorize a checkpoint in a public place. 1. Provide a sample of your breath for the purposes of establishing the alcohol content of your breath. A refusal to do so or a refusal to comply with a requirement of a Guard will be guilty of an offence and liable to face a fine of up to £5,000 or a prison sentence of up to 6 months. The High Court has held that one of the proofs required for a successful prosecution of this offence is the written authorization to set up the checkpoint. 3. Have committed an offence. The penalties for this offence are the same as the checkpoint offence as set out above under the 2006 act. 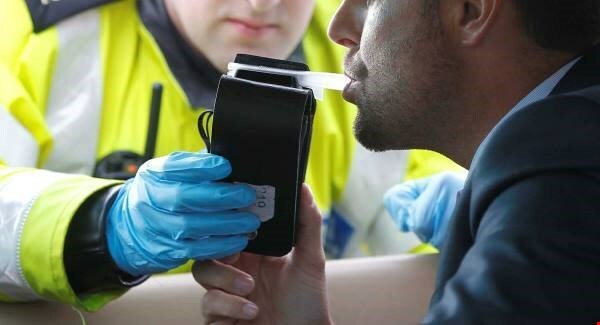 But the critical difference with these offences is that where there is no checkpoint then the Gardai must form an opinion that you have taken an intoxicant or have committed an offence under the Road Traffic Acts or been involved in a collision. To be guilty of either of these offences you must be in charge of a vehicle in a public place. b) To allow a doctor to take a specimen of your blood or provide a sample of your urine. The penalties for failing to do so are up to £5,000 in fines or to imprisonment for up to 6 months. The power of the Gardai to arrest you and bring you to the station requires you to be driving and in charge of a vehicle while under the influence of an intoxicant. Section 14 of the Road traffic Act, 1994 obliges you, where the guard has formed the opinion that you are under the influence of drugs and are incapable of having proper control of your vehicle in a public place, to accompany him/her to the station to provide a blood or urine sample. The penalty for failing to do so is a fine of up to £5,000 or up to 6 months jail. Section 15 of the Road traffic Act 1994 obliges you to provide a specimen in hospital if the Gardai are of the opinion that you have taken an intoxicant and were driving a vehicle or attempting to drive it. This obligation stands even if you claim you are injured and the Gardai can enter the hospital with a designated doctor to take a blood or urine sample. Section 23 of the Road Traffic Act, 1994 provides the defence for refusing to provide a sample as required under sections 13, 14 and 15 of the Road traffic Act 1994 and provides that if you can offer “special substantial reasons” for your refusal then you may have a defence. However the “special substantial reasons” defence will be at the discretion of the Judge hearing your case. There have been significant changes in road traffic offences thanks to the Road Traffic Act, 2011. There has also been a significant decision handed down in the Supreme Court in 2013 in the DPP V Maresa Cagney case. Ms. Cagney was acquitted of the offence of refusing to provide a breath specimen due to a chest infection and cough. This case is well worth a read in its entirety if you are facing a charge of refusing or failing to give a breath specimen. Read drink driving in Ireland in 2017-the essentials.